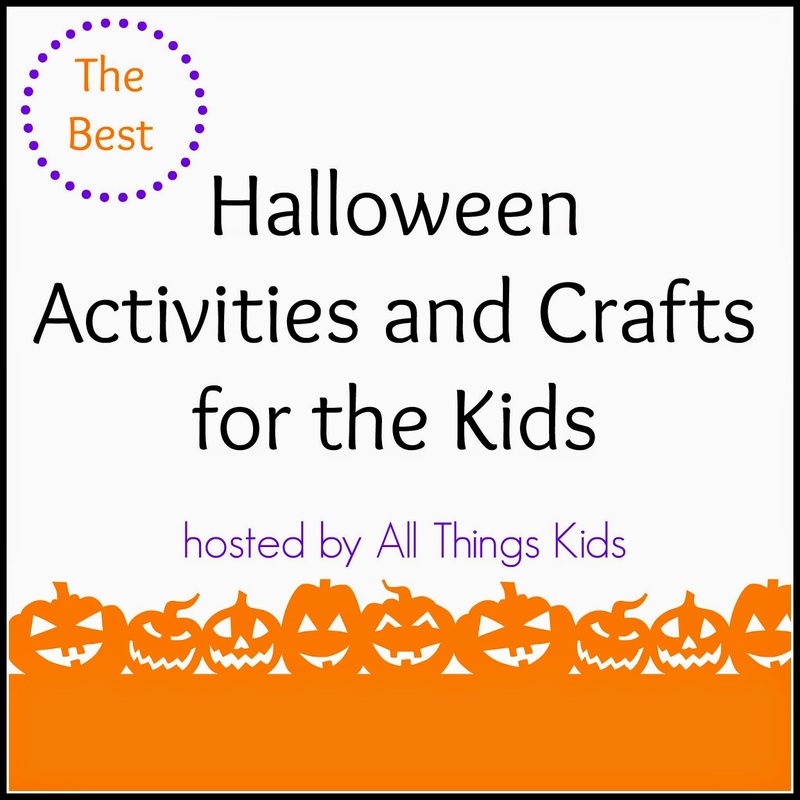 We're joining the All Things Kids bloggers in Halloween learning, play, crafts, and activities. Halloween is such a fun time of year for crafts and activities with the kids. Spiders and ghosts can be cute for the kids and not scary at all. This hanging ghost craft uses something we love to craft with: recycled materials. Make a few of these ghosts and keep them hanging around your house. You'll love the cuteness of these guys! We started with some clean recycled containers. We used potato chip snack containers but you could use any smallish, white cups. This craft is so easy to throw together. Cut oval shapes from black construction paper . Use a few dabs of glue to secure them in place for eyes and a mouth. These cute ghosts are done! We used fishing line to hang the ghosts to the ceiling in our dining room. Just tape one end of the fishing line to the top of the ghost and the other to the ceiling. The kids loved seeing the ghosts hanging from our dining room each meal! How cute are these friendly ghosts?? You'll want to check out the other Halloween fun from the All Things Kids bloggers.